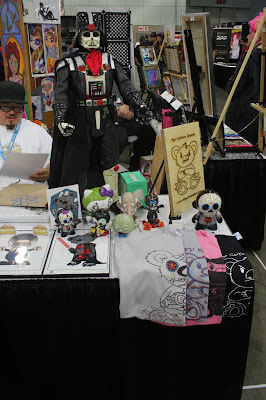 This past weekend was Stan Lee's Comikaze Expo 2013 at the Los Angeles Convention Center. Thousands of people would be in attendance and it was another year of fun and excitement! 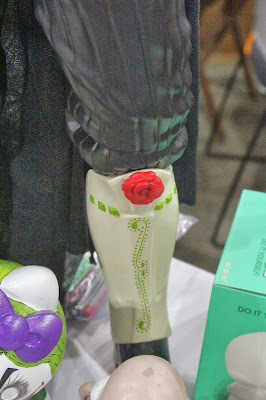 Angry Koala Gear would make a return to not only do press/media coverage, but we were fortunate to share a table at Artist Alley with FrankenFactory at #AA444. 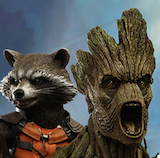 There you would find FrankenFactory with her amazing, award winning Wolf Girl resin figures and Angry Koala Gear's very own Obscure in his incredible customs. One of those customs would be a piece that would catch hundreds of peoples' attention throughout the weekend with our Star Wars Darth Vader 31" custom "Darth of the Dead" figure. 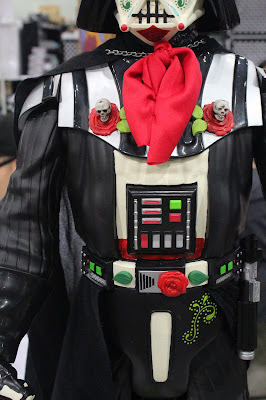 Obscure created this amazing Darth Vader custom from the amazing Jakks Pacific astounding 31" figure. 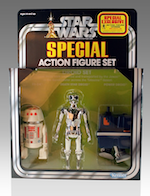 We are huge Star Wars fans and once we knew of this very detailed 31" figure, I had to add it to the collection. I wanted to take it one step further in allowing my brother Obscure to customize Lord Vader himself. We hoped he would be able to create and customize this figure in time for Stan Lee's Comikaze Expo and he definitely accomplished it. 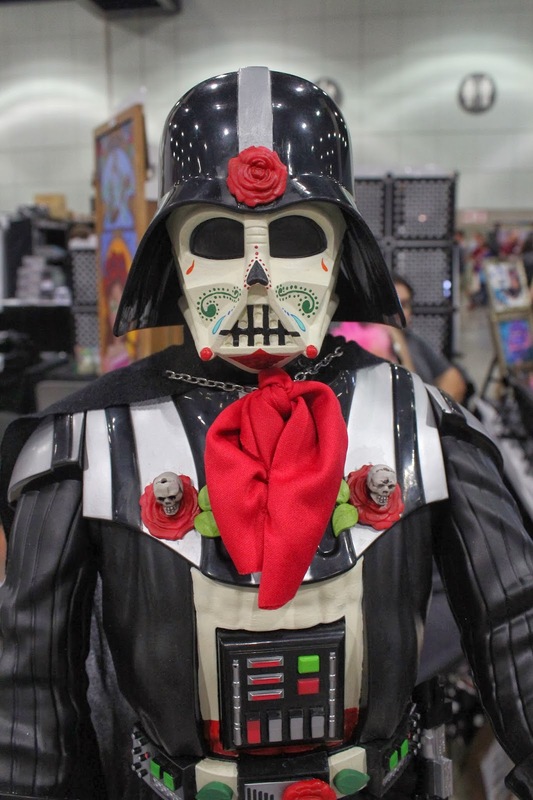 Stan Lee's Comikaze Expo 2013 would be the weekend of November 1st - 3rd, which would also be Dia de los Muertos or Day of the Dead. Obscure wanted to create this piece in honor of Dia de los Muertos and what you see is the result. 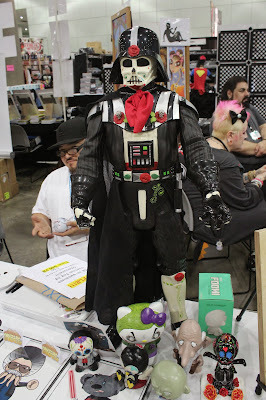 "Darth of the Dead" is truly a beautiful piece and everyone who would walk by our table would truly admire it and have to take pictures. 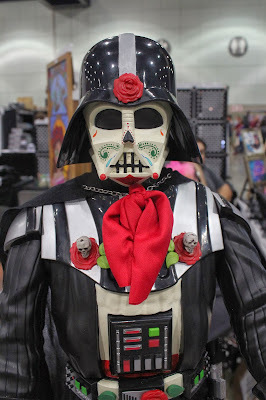 Stan Lee's Comikaze Expo 2013 would not be the only appearance of being able to see Obscure's custom "Dia de los Muertos", "Day of the Dead, "Darth of the Dead" figure, but just the beginning. This coming weekend will be another incredible weekend with a great annual convention with the DesignerCon or DCon, which will be on November 9th - November 10th at the Pasadena Convention Center. If you want to attend an show that features hundreds of incredible artists that create the best of the best in Designer Toys and in Art, this is the convention! 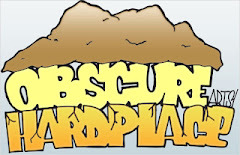 Obscure is going to be bringing our "Darth of the Dead" figure with him. Come visit us at our joint booth with Deeten at #615 where you can see his incredible Steampunk style works and Obscure's customs.